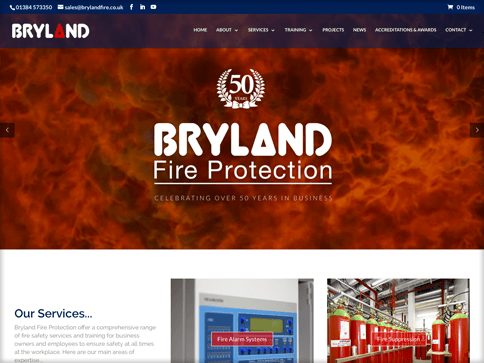 An existing client of ours for a few years, Bryland came to us looking for a refresh in the design, improvement with mobile and tablet devices and with further implementation of selling fire & training courses online. 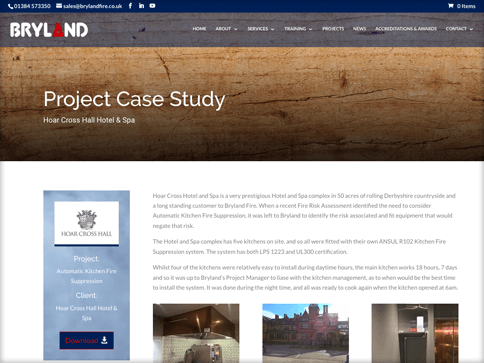 Utilising a full width, fluid layout, really enhanced the look and feel of the overall website and the increase of call to action buttons and links have really transformed the usability of the website and helped to retain web traffic. 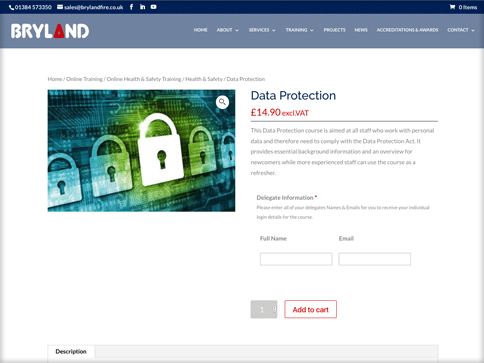 We have upgraded their website to an eCommerce site which now encompasses a training portal & shop as well as building a safe & secure internal staff page. 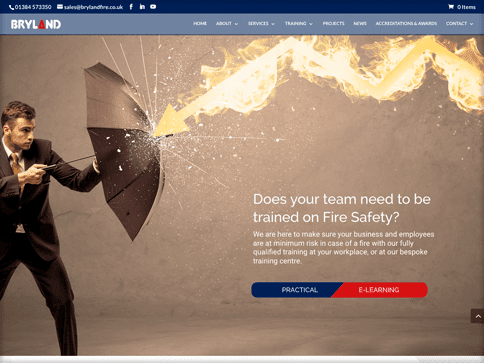 A perfect website to reflect an award winning business.